I've never been a fan of cooking, mainly because I don't care at all about savory types of food. All I care about is sweets and desserts. Really. If I could get away with eating only dessert foods I would happily abandon everything else, except for french fries. And cheese. And maybe bread. Um, where was I? Anyway. I do like to bake though. Because I can eat bits of the batter or dough as I go along. And if I'm doing the baking I can lick the whole bowl all by myself. I don't typically hold grudges, but if you're baking and I ask for the bowl and you intentionally put it in the sink to soak so I can't have it, well, I won't forget that. No sir, that's just low. After the whole stomach bug from hell thing, I had a couple of bananas festering past the point of edibility, so I decided I had better make some banana bread. 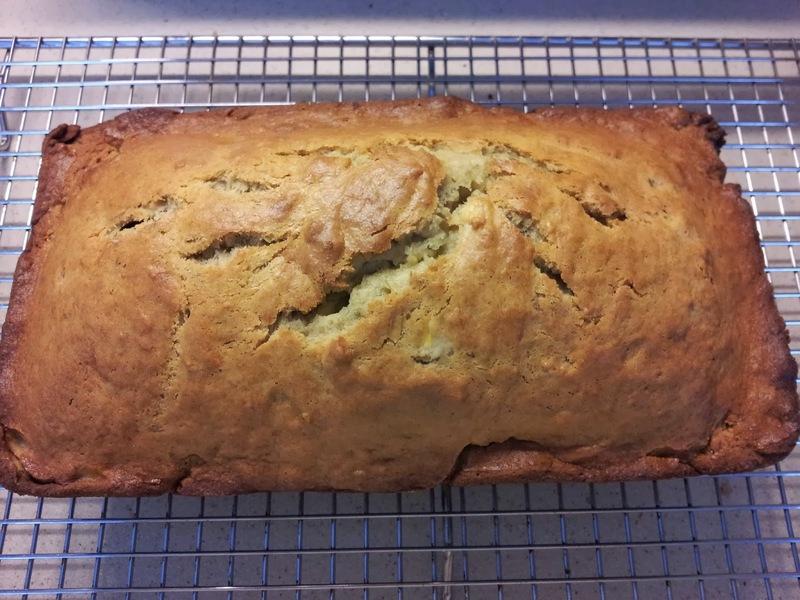 I used BerryBird's basic banana bread recipe and it came out great. My husband suggested after the baking was done that chocolate chips would've made a good addition. I don't agree AT ALL, and so I happily ate the entire loaf myself (over five or more days, don't go freaking out). Next I decided it was time to give the chia pudding another go. Last time it came out too runny, so this time I greatly reduced the ratio of milk to seeds and viola, perfection! I also made a smaller batch, which amounted to two servings for me. Naturally I didn't write down the ratio I used so I'll be winging it again the next time I make it. Oops. 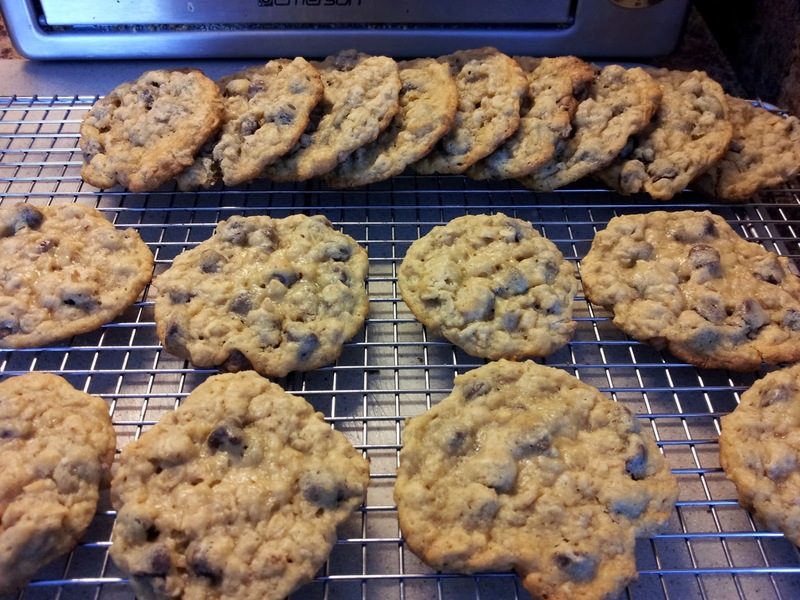 Yesterday I got the hankering to make some oatmeal chocolate chip cookies. I always cut the recipe in half because I like the cookies best when they are fresh. The recipe I use results in about 20 cookies, depending on how much of the dough I eat during the baking process. I was concerned because the oatmeal I have is more than 50% dust, but the cookies came out great. In fact, they are fluffier than usual. Which is good because I can't use the oatmeal for making regular oatmeal because there is so few actual whole oats in the container. That means more cookies have to be made so the oatmeal doesn't go to waste! Obviously. It all looks quite tasty and sinful! Makes me really wish I could still eat sweets! Are you able to drink any type of non-dairy milk (almond, etc.)? 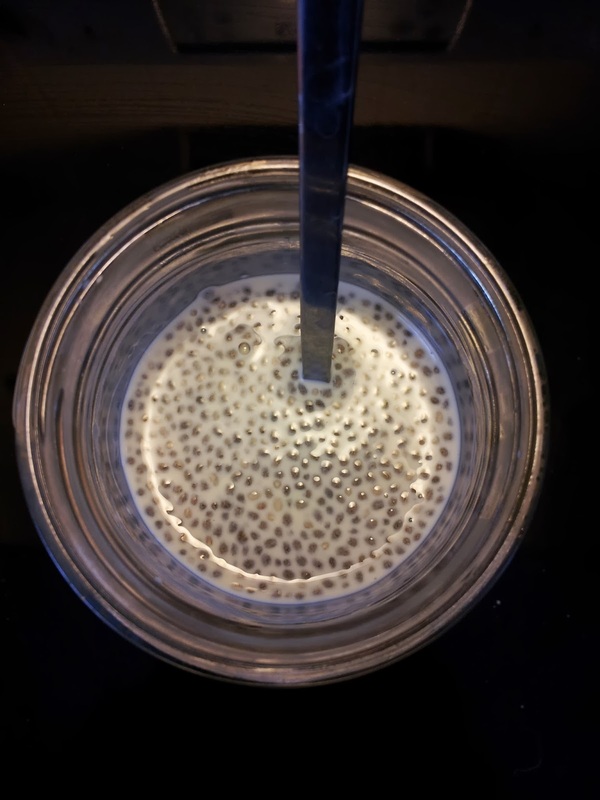 If so you could probably make some version of chia pudding, although I'm not sure how you'd sweeten it. I used maple syrup, but maybe you could use raw agave or chopped dates (neither of which I've tried).